The first automatic sliding door was invented in 1954 by Lew Hewitt and Dee Horton and was installed in 1960 for use by people. A sliding door is a type of door drawn across an aperture. It opens and closes in a flat line, horizontally by sliding, usually parallel to a wall. Sliding doors move on a groove along track channels fitted at the top and bottom. 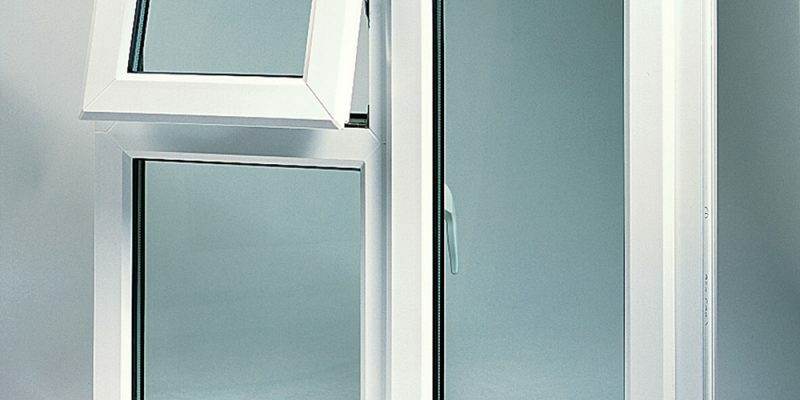 To ease their movement, sliding doors have metal or plastic rollers attached to the sash. Sliding doors take up less space than standard doors. They provide options to improve the living space and the environment around your property. Interior or exterior sliding doors are great for bedrooms, living rooms, kitchens, bathrooms, wardrobes. They are also perfect for dividing easy large space into offices, meeting rooms, buffets. Sliding glazing doors offer a larger view area and have less structural demands. They have narrow frames made from wood, aluminum, stainless steel, steel or uPVC. It is possible the glass panes to be wider and higher. The wider clear openings improve the connection between the home and the garden. Sliding glass doors typically consist of two-panel sections: with a fixed panel or both sliding panels. Three-panel doors with different configurations are also common. A pocket door is a sliding door that disappears, when fully open, into a compartment in the wall. Pocket doors are useful for small space and they are a versatile solution to add privacy and function of your interior space. Sliding glazing doors have a contemporary appearance, they look good open or closed. The doors increase the view and the light in the home. Sliding doors can achieve better energy efficiency rating than the traditional doors. There is a wide range of sizes, colors, and options to meet what you need. The size of your structure opening will help you determine the best configuration of your sliding door. 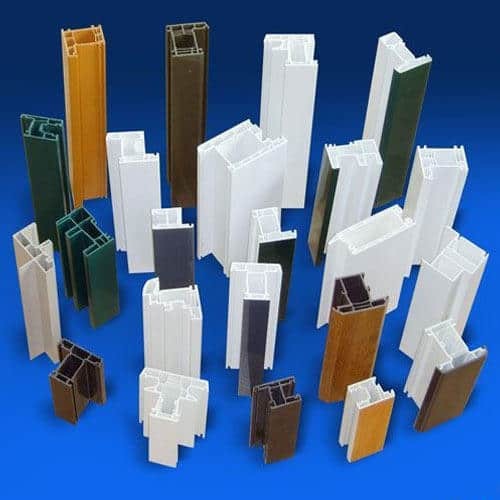 Standard widths and heights may vary from one manufacturer to another depending on profiles and materials. Polyvinyl chloride (/ˌpɒlivaɪnəl ˈklɔːraɪd/; colloquial: polyvinyl, vinyl; abbreviated: PVC) is the world’s third-most widely produced synthetic plastic polymer, after polyethylene and polypropylene. About 40 million tonnes are produced per year. Insulating glass units (IGUs) are manufactured with glass in range of thickness from 3 to 10 mm (1/8″ to 3/8″) or more in special applications. Laminated or tempered glass may also be used as part of the construction. Most units are produced with the same thickness of glass used on both panes but special applications such as acoustic attenuation or security may require wide ranges of thicknesses to be incorporated in the same unit. Insulating glass is an evolution from older technologies known as double-hung windows and storm windows. Traditional double-hung windows used a single pane of glass to separate the interior and exterior spaces. In the summer, a window screen would be installed on the exterior over the double-hung window to keep out animals and insects. In the winter, the screen was removed and replaced with a storm window, which created a two-layer separation between the interior and exterior spaces, increasing window insulation in cold winter months. To permit ventilation the storm window may be hung from removable hinge loops and swung open using folding metal arms. No screening was usually possible with open storm windows, though in the winter, insects typically are not active. Traditional storm windows and screens are relatively time consuming and labor-intensive, requiring removal and storage of the storm windows in the spring, and reinstallation in the fall and storage of the screens. The weight of the large storm window frame and glass makes replacement on upper-stories of tall buildings a difficult task requiring repeatedly climbing a ladder with each window and trying to hold the window in place while securing retaining clips around the edges. However, current reproductions of these old-style storm windows can be made with detachable glass in the bottom pane that can be replaced with a detachable screen when desired. This eliminates the need for changing the entire storm window according to the seasons. Insulated glazing forms a very compact multi-layer sandwich of air and glass, which eliminates the need for storm windows. Screens may also be left installed year-round with insulated glazing, and can be installed in a manner that permits installation and removal from inside the building, eliminating the requirement to climb up the exterior of the house hto service the windows. 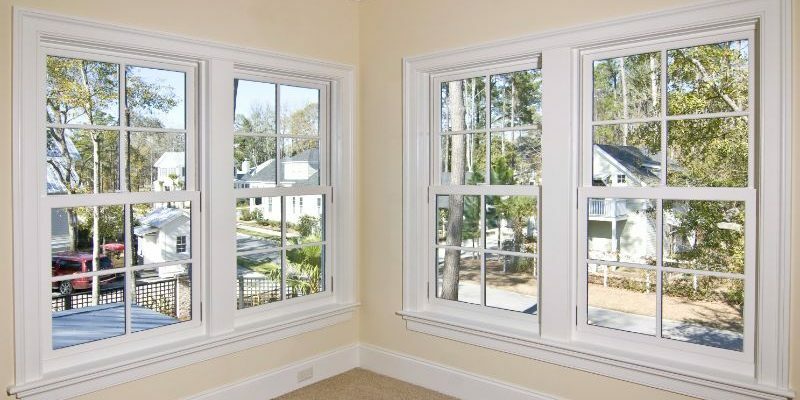 It is possible to retrofit insulated glazing into traditional double-hung frames, though this would require significant modification to the wood framed due to the increased thickness of the IG assembly. Modern window units with IG typically completely replace the older double-hung unit, and include other improvements such as better sealing between the upper and lower windows, and spring-operated weight balancing that removes the need for large hanging weights inside the wall next to the windows, allowing for more insulation around the window and reducing air leakage, provides robust protection against the sun and will keep the house cool in the hot summer and warm in winter. These spring-operated balancing mechanisms also typically permit the top of the windows to swing inward, permitting cleaning of the exterior of the IG window from inside the building.